The Decisions Profiler is designed to help you find problems in your flows. The profiler writes out all step executions with the count of executions and time those executions took. To begin a profiling session, navigate to System > Administration > System Tools > Profiler	. Click on Start Profile Session	. This will bring up a dialog as shown below. Configure the settings for this profile session and click OK	. Descriptions of the settings are below. 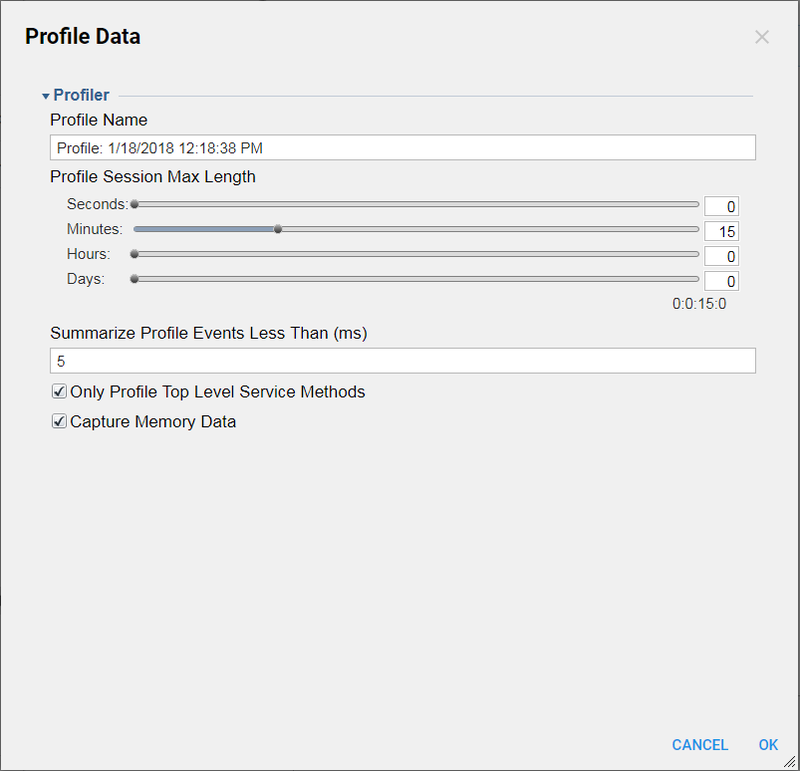 Profile Session Max Length	: This is the max time span that this profile session will run before stopping itself. You can manually stop it before this time span has elapsed, but it will not run longer than this time span. 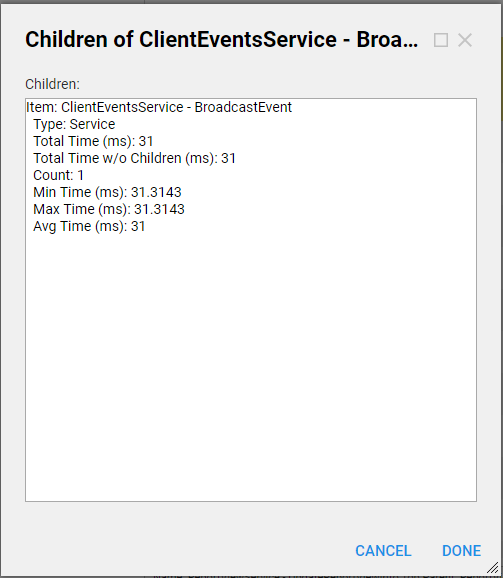 Only Profile Top Level Service Methods	: This setting will exclude any web service calls in child processes. After you click OK	, the profile session begins running. While the profiler is running, an End Profile Session	button appears on the Profiler page. You can either wait until your configured profile session time span elapses, or you can click this button to stop and view the profile session data. Download Profile Data	- this downloads a file that can loaded into the Decisions profiler to be viewed. This is a good option for sharing profile data with Decisions support. Open Text View	- this downloads a text file that lists out all the profile data. Use	- this loads the profile data into the profile report view on the right side of the screen. 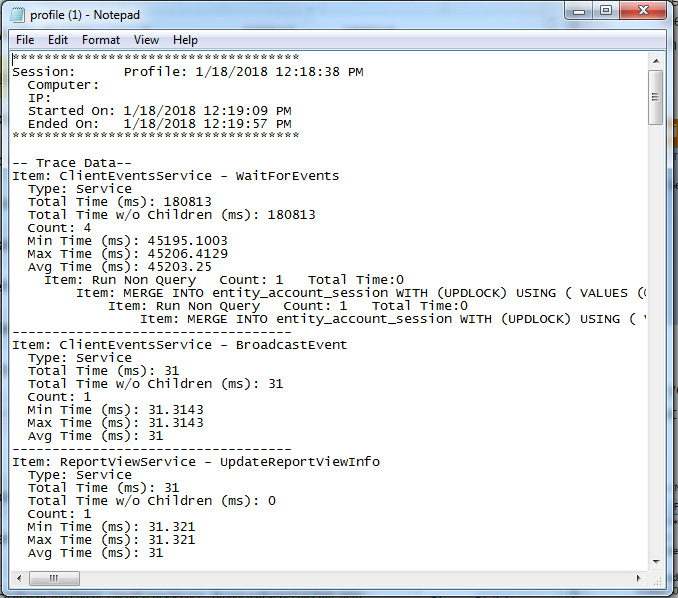 It displays the same data that is in the text file, but in the Decisions portal instead of a text file. You should choose whichever is easier for you to read. When you choose the Use	option, the profile data is loaded in the report on the right as shown below. The report only shows the top level items. 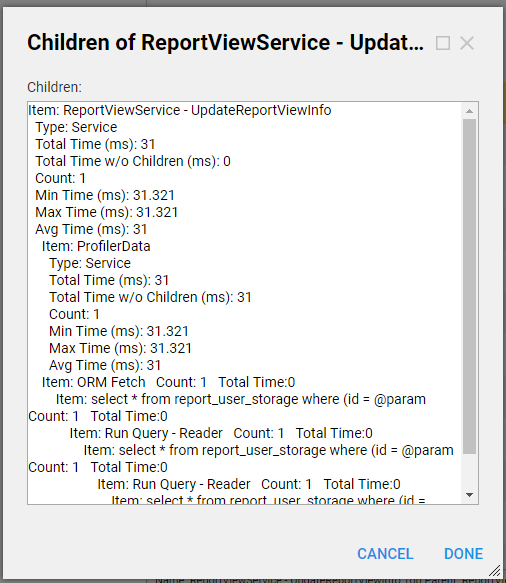 To view the data about the children items, click on a top level item and select Show Children	. This will open the children in a simple text view box as shown below. 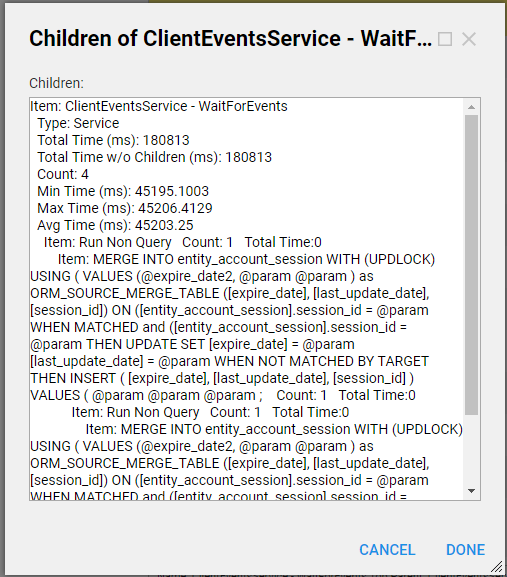 When looking through the profile data, look for either unexpectedly large counts or time values, as they likely pinpoint the parts of a workflow that are problematic.